bedding, a fully equipped island kitchen, and washer and dryer. 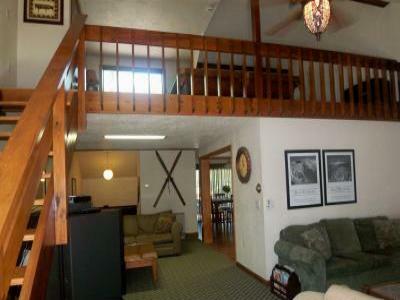 den with wood-stove, large loft area with pool table and more! All rental fees will include a NH 8% Rooms Tax charge. Have a large party? We have 3 condos in the same location! Interested in making a reservation? It's easy! Contact me via email or phone or use the form provided here. and can be paid over the phone or online via debit/credit card. door. Check in is at 3pm and check out is at 11am.